What Are the Most Popular Varieties of Coffee and Tea for 2015? Americans are creatures of trend. In other words, we see the glimpses of a new trend catching on and we all hop on board like so many teenagers running to a rock concert. Being in the coffee industry, we find it fascinating to look ahead at the trends that might be coming our way. Every year we see certain products come, other products go, and still other products taking everybody by surprise in one way or another. So, what are the most popular varieties of coffee and tea for 2015? Let’s take a look. You might be surprised by what we found. We will start with tea as it is more easily defined than coffee. Pu’erh Tea –You may have never heard of this variety of tea if you do not consider yourself a connoisseur. Regardless, Pu’erh is a fermented tea that comes from China’s Yunnan province. Black Tea – The tried-and-true black tea remains as one of the most popular teas sold around the world. Black tea is widely available, inexpensive and capable of producing very bold flavor. Oolong Tea – A very well known tea that hails from Taiwan and China. It is known for its rich flavor brought out by steeping as many as 8 to 10 times. 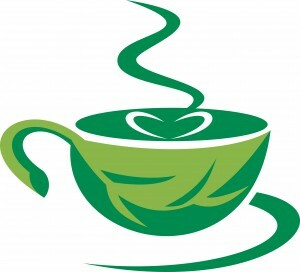 Green Tea – Those who love green tea swear by its health benefits. It remains popular in America despite declining sales elsewhere. White Tea – White tea is known for its gentle, delicate flavor and low oxidation. It requires very little processing between farm and market. It is much harder to put our finger on popular coffee varieties because worldwide consumer preferences are not strictly measured. If you went to Ethiopia, for example, coffee drinkers could tell you details about each of the varieties grown in their country. Ask Americans about their favorite variety and they are likely to say something like Starbucks or Green Mountain. What we can say is that standard, black coffee still dominates the market even though the hipster designer drinks are catching up. Among the strongest performers are lattes, cappuccinos, and Americano blend drinks. Iced coffee seems to have peaked, with sales now fairly flat. Galaxie Coffee services the greater New York area with a full list of excellent coffees and teas. You can view all of our products here on our website. If you are currently being serviced by another coffee company, we would appreciate the opportunity to offer you a comparison. If not, can we have the honor of earning your business? 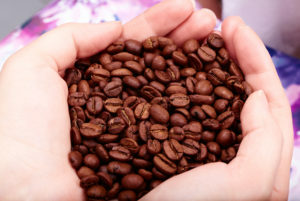 How Big Is the ‘Green’ Movement in Coffee? The ‘green’ movement is everywhere these days. From cars to the groceries you purchase down at the local market, everybody wants to get in on it. In some cases, going green is embraced out of genuine concern for the environment. Other times, companies claim to be green in order to market themselves better. We were curious as to how big the green movement is in the coffee industry; we were surprised by the results of our research. Going green is as much about semantics as it is practice. In the coffee industry, whether or not we are embracing the green movement depends a lot on your definition. In a broad sense, there are those who consider everything from fair trade to sustainable farming practices as part of the green movement. There are others who limit the green movement to those things that directly affect the environment. We have divided current practices within the coffee industry into two categories: truly green initiatives and non-green initiatives. At the top of the truly green list is an emphasis on organic farming practices that eschew the use of pesticides and genetically modified materials. Organic farming seeks to produce a robust crop while doing little to no environmental damage. It is catching on across the globe. Side-by-side with organic farming are sustainable practices that seek to conserve water and other natural resources in the growing process, while using sustainable energy sources for processing. Again, sustainability is catching on around the globe. Yet despite these efforts, there is one inherent problem: going green on the farm makes coffee too expensive to compete in the marketplace. Organic farming also requires more water in most cases, mitigating any water conservation efforts organic farmers engage in. There is a long list of initiatives that are presented under the green label without actually affecting the environment. The fair trade concept is a great example. The idea behind fair trade is to pay farmers a higher price for their crop, through either government subsidies or higher retail prices, in order to encourage them to practice organic and sustainable farming. Proponents of the green movement claim fair trade does help the environment and, perhaps it does indirectly. However, in light of how much fair trade coffee is sold on the open market, it is having little to no impact. There are certain aspects of the green movement that are in play for the coffee industry. There are other aspects that are completely irrelevant. At this point, it is up to each player to determine how much green involvement is appropriate for his or her current business model. In light of this, Galaxie Coffee will continue to do our best to provide the greater New York area with premium coffee, water, and beverage service. We invite you to take a look at our complete inventory of products. We combine an extensive list of product choices with excellent service upon which you can depend.